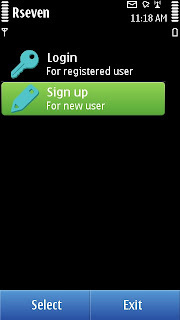 Rseven is a premium mobile phone backup service for Nokia N8 and other Symbian^3 devices. 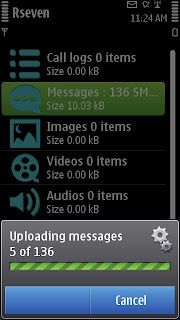 It can backup SMS, MMS, Contacts, Audios, Videos, Call Logs and Images. 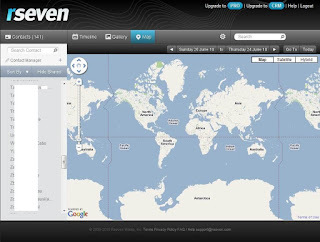 The free version has a limit of 50 MB data storage on the Rseven server. You get a quota of 50 MB data on the 1st of every month. 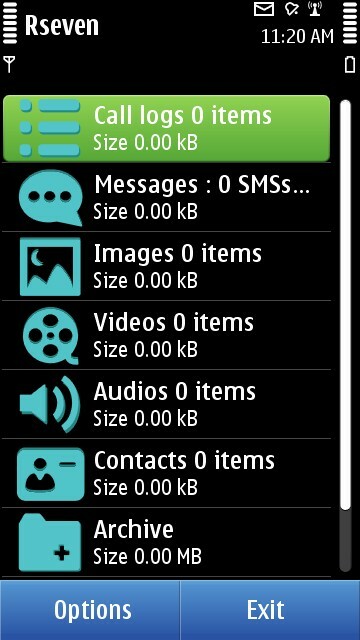 Also, the file size limit is up-to 50 MB. 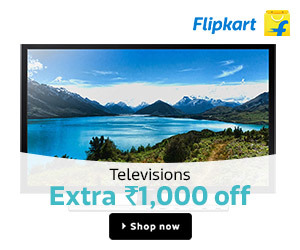 This amount of free data storage of more sufficient if you are looking at backing up just the Contacts, SMS, MMS and limited audio/video/image files. 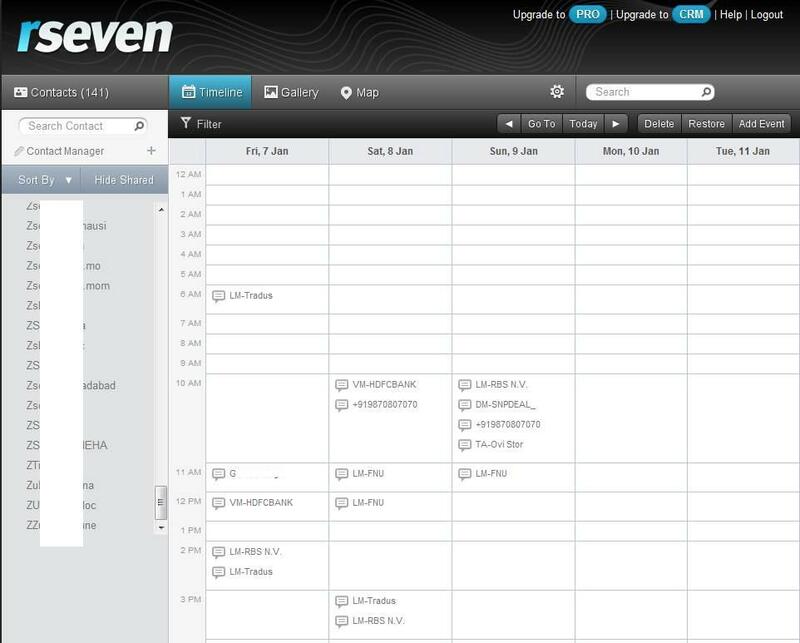 Rseven is a totally ad free service and has two upgrade options - Rseven PRO and Rseven CRM. 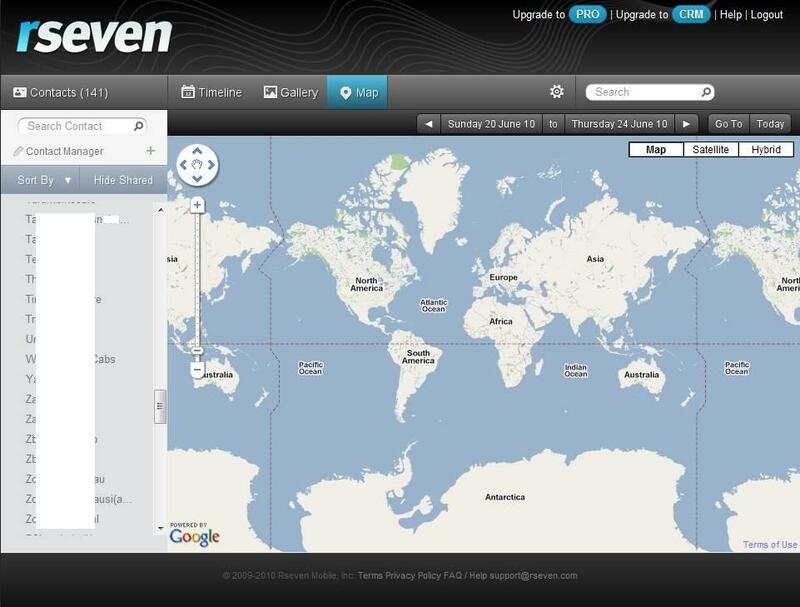 You can preferably go for the Rseven PRO which gives you a data space of 500 MB for a cost of 4$/month. 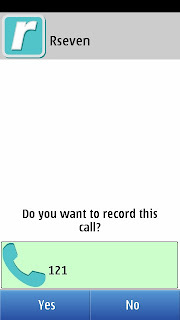 The phone client includes a call recorder that records any outgoing and incoming call either automatically or you can change settings to give you a prompt at the start of such a call. 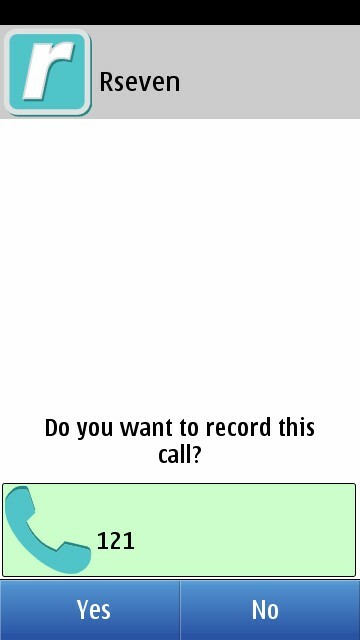 The format of the audio recording is AMR which is highly optimized and low on size. 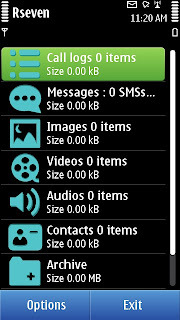 You can setup automatic backup in the application and live worry free. The application's layout and design is impressive and very easy to use. 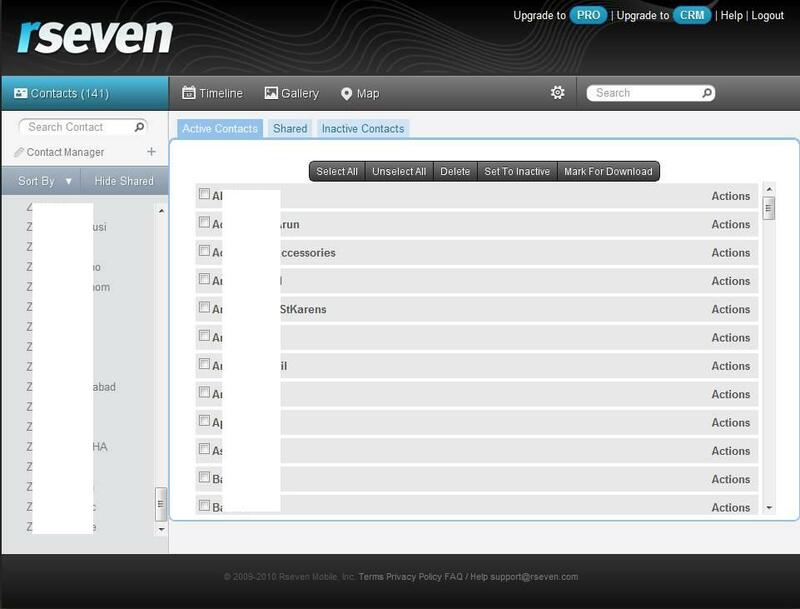 Once you install the application, you can setup a web account for Rseven from the application itself. 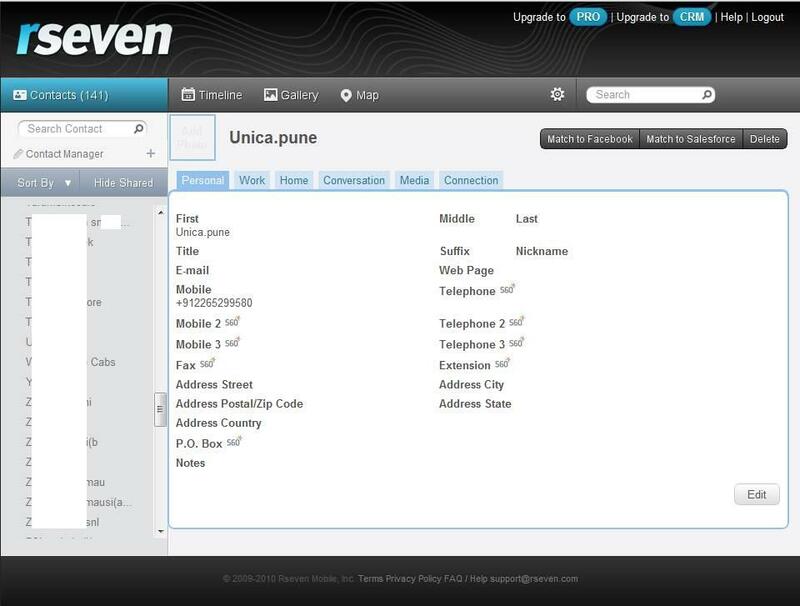 The Rseven web interface is versatile and full of premium features. 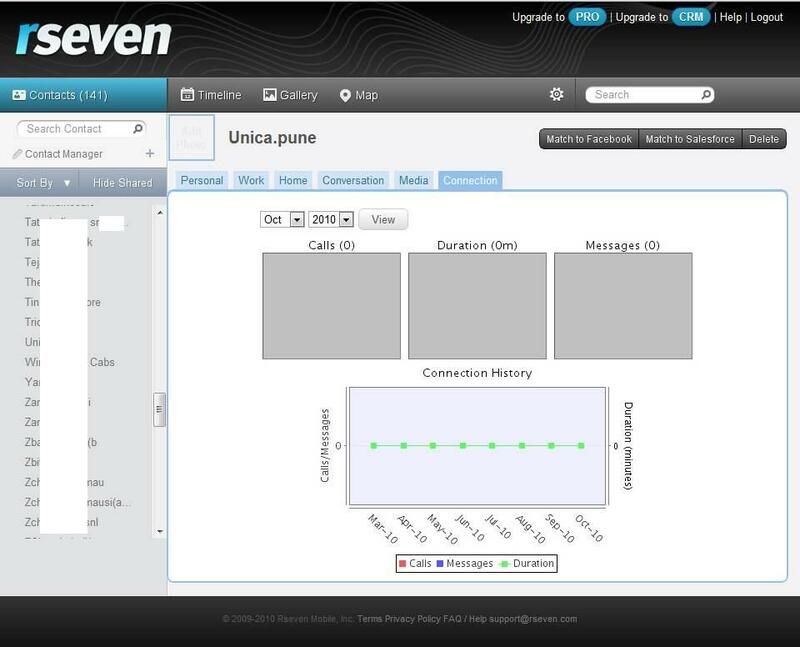 You can analyze your activity on the phone through various parameters and over a detailed timeline. 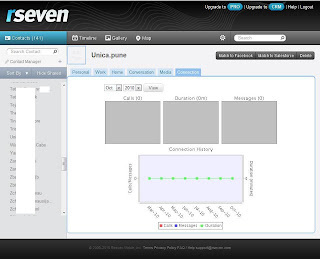 You can analyze how many times and ways you have interacted with a particular phone number over time. 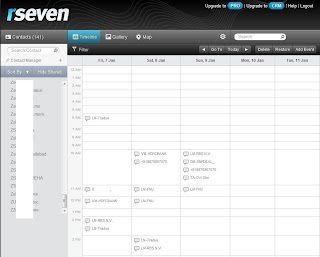 You also have the option to link your Rseven account to Facebook and sync your contacts with Facebook. 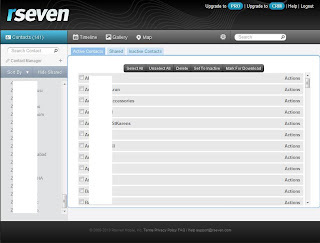 Although, there is Ovi Sync available free of cost but Rseven provides more features and it is always good to have a phone backup service at more than one provider.